Who Do You Think They Are? 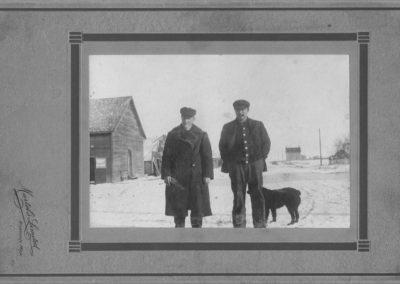 | Southwest Branch - Manitoba Genealogical Society Inc.
Can you help us identify the individuals in these photos? If you have information about the identity of anyone in any of these photos, please contact us. Click on the individual photos to enlarge them. Blacksmith Shop in Forrest Station, Manitoba abt. 1905 -06. 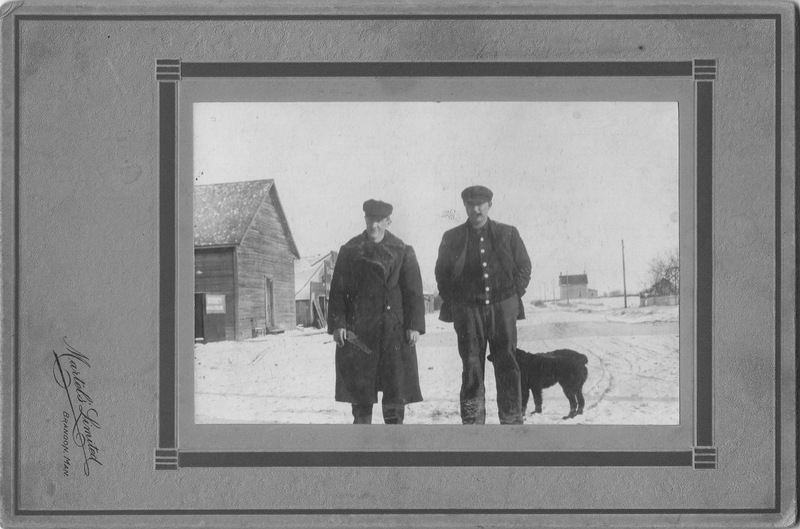 Photo of two men believed to be taken near Blacksmith Shop at Forrest Station, Manitoba. I think the gentleman on the left is George William Mackay and not sure who the gentleman on the right is. Can anyone confirm these individuals? 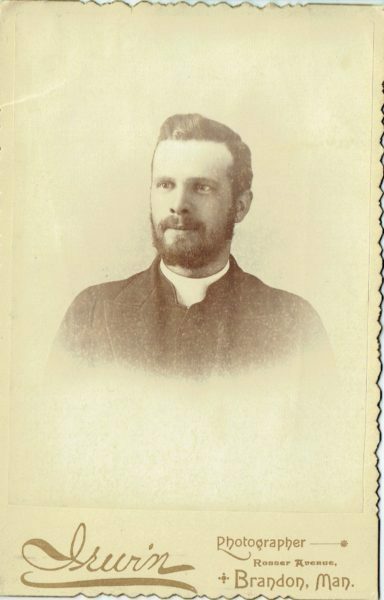 The Photo was taken at Irwin Photographer Rosser Ave. Brandon 1884 – 1894.